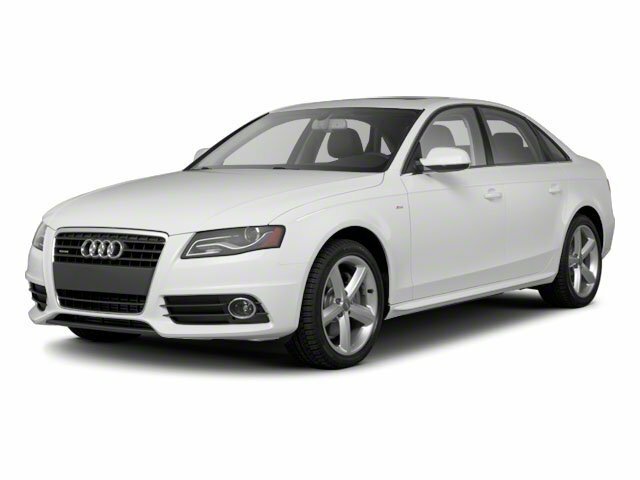 The 2010 Audi A4 is a five-passenger, entry-level luxury car with seating for five passengers. Available body styles include a sedan and a wagon, for greater cargo utility. Power is provided by a 2.0L turbocharged four-cylinder engine, which produces 211 hp and 258 lb-ft of torque. The power is controlled via your choice of a six-speed automatic with manual shift mode, a six-speed manual transmission, or a Continuously Variable transmission. The A4 is available with FWD or the Quattro AWD system. Now in its eighth generation, the Audi A4 sees few changes for 2010. A new S4 sedan and Avant wagon featuring a 3.0L supercharged V6 make their debut this year, available with either manual or 7-speed S-tronic transmissions. The 3.2L Quattro has been discontinued, and the cabriolet has been redesigned and is now part of the A5 line. Inside, high-quality materials abound, with plenty of leather and brushed aluminum, as one would expect from Audi. The interior is larger than the previous A4's, as is the trunk. An advanced multi-media interface is standard, as are six airbags. Other changes include available third generation MMI navigation, LED taillights on Premium Plus and Prestige models, and a new Quattro Sport Rear Differential and new wheels for the S4.